Yes, I know it’s been a few days already and it’s high time I wrote about my trip to Down Under. Many of my blog readers, who are also some of my great friends, are shouting at me for not writing about my trip to Australia yet. The reason I wasn’t posting anything was just one – my confusion on where to start! When the heart is full words are few and my trip of 20 days in OZ has definitely filled my heart. More so, because we went on a well-researched trip (by my partner) minus any annoying tour agent who treats you like a herd of animals. There cannot be a better teacher than travel itself. Traveling has enriched my life in many ways. However, this 20 days’ vacation trip to Australia has changed me as a person. In many ways, my priorities have changed. Australia has taught me how to celebrate life and celebrate being alive. This trip to Down Under will always remain as one of my most cherished trips – also because, I have done some of the things for the first time in my life here. This has helped me tick off a few of the “to dos” from my “must do before I die” list. These include celebrating New Year Eve at Sydney Harbour, seeing Uluru, helicopter ride, taking a cruise in the Pacific Ocean and snorkelling. Our journey started on December 31, 2011 in Sydney. New Year Eves have always been very important for me. Call me “typical” but I do believe that if you start the year well, it will go well. I was getting tired of the usual good food for dinner, some TV and bursting of crackers at midnight routine for last few years. 2012 had to be different. We wanted to go somewhere. After considering a few options, we decided to welcome the New Year by going to the New Year (read: to welcome it before it actually reaches our country) in Sydney. Australia was always a mystery for me, a country that is so far away from the rest of the world and we knew so little about it, except the unbelievably strong cricket team, Uluru and kangaroos! The moment I landed in Sydney, it was a series of surprises for me. Being a country in the Southern Hemisphere, it was to be hot as hell there in December and we were prepared for the summer in OZ. But to our surprise, it was cooler than the winter in Mumbai. Thankfully we had “just in case” jackets with us and we were saved. Even though we took a thirteen hours halt in Singapore, the eight hours flight to Sydney took a toll on us. We wanted to go to the hotel and take a nap so that the body clock gets confused (or cheated) to adjust to the new time zone we were in. 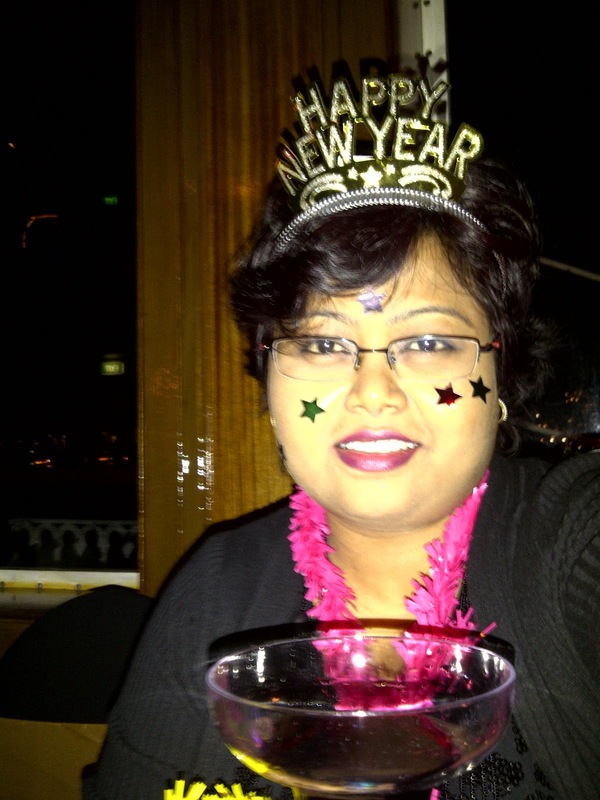 Moreover, we had a ballroom cruise to take on the Sydney Harbour that evening to celebrate the New Year Eve. We had reservation at Hotel Radisson Blu in Sydney. So from the airport, we headed to the hotel and slept for some time. As the suggested cruise boarding time approached, we got ready for the evening and went to the Kingston Wharf to board the Majestic Cruise Line. The crowd, the atmosphere at the wharf and the enthusiasm of the people, especially those who were reserving seats at the bank since 12 noon were absolutely overwhelming. A little effort later, we found our ship and boarded the cruise of a lifetime! What a great way to start the 2012! I couldn’t have asked for more! Looking fwd to reading more. Hey Raja! Thanks man for stopping by. Point noted. Just gimme a little time. 🙂 Thanks a ton!